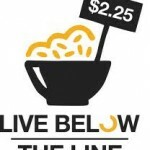 During September I did the ‘Live Below the Line’ challenge which meant that for one week, from Monday to Friday, I lived on $2.25 worth of food each day. I ate pretty plain meals; lots of pasta, barley, and vegetables with no meat or treats, or drinks other than water. ‘Live Below the Line’ is an international campaign and participants can choose a charity to donate their sponsorship money to and I chose the Tony McClean Nepal Trust, started in memory of the teacher who died in the Elim Christian School drowning 5 years ago. Tony had spent some time in Nepal and the trust has been set up in his memory to establish schools and clean water facilities for villages. I explain this because I was also writing a sermon that week with slightly lower energy than usual. I don’t say this for pity. I found it an interesting experience to write a sermon during this week; to try and think creatively, biblically, and practically, with a rumbling stomach. I wondered how pastors and preachers/teachers all over the world prepared their messages with not enough sustenance to keep them going. I guess it would be a standard way of life for many, and perhaps they don’t know any different. Imagine if that level of energy, what you can get from $2.25 a day, is all you had to go on, and you had to look after your family, you had to find food and water, you had to survive in tin sheds, you had elderly family or young kids living with you etc. It would be near impossible to summon the energy to better your situation, to try and find work, to lift yourself up and out of poverty. And that’s not even beginning to look at having the creative energy to start a business, to write a song or a book or a poem or a sermon, or to do something different in your community. How heartbreaking! Imagine what our world is missing out on because people do not have adequate care? Yet that’s the reality for millions of people around the world. 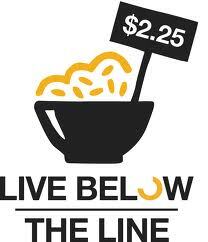 I feel profoundly grateful, in lots of ways, since doing ‘Live Below the Line’. One surprising realisation was how lucky I am to be teaching from a place of physical strength and nourishment. 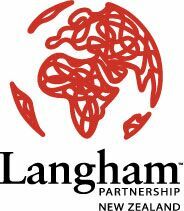 I feel encouraged by the work of Langham Preaching and other groups that support and equip pastors in third world countries. But I’m also challenged in my own response to the needs of people who live on $2.25 a day, every day. I realise this sits ironically above my previous blog post a year and a half ago titled ‘Ps: I love preaching’ (http://kiwimadepreaching.com/author/laura-giddey/) but trust me, I have not lost my passion for what I do in that time. Keep reading. The year has started with a whir and a bang, as I’m sure it has for many of us. At the end of last year my supervisor suggested I don’t commit to preach in the first term as I would have the build-up to Easter Camp to contend with, as well as everything else. Naturally I thought I knew best and didn’t listen to her. (Apologies Heather!) 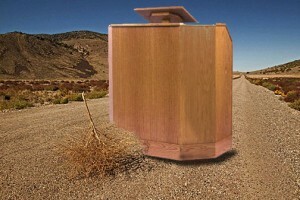 So I found myself a few weeks away from my preaching date staring at the theme, with not a lot of inspiration. The weeks were filling with admin and planning for youth group and sermon prep was taking a backseat. The topic wasn’t grabbing me, I wasn’t used to not preaching to a text, and I didn’t feel like I had personal illustrations to draw from. Preaching wise, I was feeling flat. So what to do? What would you do? Are you meant to push through and make it happen? Or do you listen to your spirit and step back from something that you can’t handle? How do you discern the difference? I chatted to my boss about it and he directed me towards focussing on a passage if I felt more comfortable with that, and encouraged me to persevere. Returning to the ‘First 15’ certainly helped and I began to carve out time to really focus on the text. Slowly it came together and seemed for form something of worth. Ultimately I was glad that I continued working towards the preaching date. People seemed really impacted by the topic and a lot of really helpful ministry came out of it. God clearly took my reluctant words and used them to hit hearts. I ended up preaching quite a different sermon to how it first looked, but hopefully it remained true to the text and series. 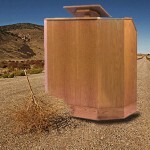 I’m still struck with this question thought; what do you do when you don’t want to preach? Recently I preached when the youth took over our two morning services at church. Pulling together a bunch of teenagers and leaders proved tricky but speaking back in ‘big church’ was lots of fun! I love the setting of local church, Sunday morning and I love the style of expository, casual, relational preaching. I enjoyed myself and, at the risk of sounding cheesy, I thought I’d share more of my ‘loves’ from that day. I loved using illustrations that have widespread appeal and relevance. Turns out everyone identifies with rainbows and traffic jams, and sometimes experiencing them on the same day. I loved integrating my youth into the message by talking to them and about them, in their presence. I loved hearing one of them share a short talk over communion; I sense a koru fern unfurling and potential beginning to be recognised, if I can borrow a metaphor from one who saw the same in me! I loved having a couple of youth stand up next to me and give testimonies to their time at Easter Camp and their initiatives for the future in our youth ministry. I loved feeling like a proud mum while doing this! I loved reading from ‘The Jesus Storybook Bible’. This resource is just so good for how ‘every story whispers his name’ and even the adults enjoy it! I loved exegeting the Word of God and seeing His power become real and tangible among people I serve and am served by. I loved how the organisational nightmare came together just fine on the day; why did I spend so much energy stressing? I loved preaching twice, back to back, and repeating the same joke only to get a different response! I loved hearing how people were surprised to enjoy a youth service so much! I loved the morning tea afterwards; does anything beat homemade baking? Probably not. I continue to lead my youth service each week and that continues to test and encourage my thinking and teaching style. But I look forward to these chances to preach in the morning service and am grateful for the opportunities. What do you continue to love about preaching? Last month was a month of ‘firsts’. I began my first full time job and worked my first full time week. I received my first full time pay-check and got into my first habit of getting up on time. And I preached my first sermon in this new job at the weekly youth gathering that I’ll be running. This sermon was also the first one I’ve preached where I had to provide some direct application and discussion points for small groups to consider immediately after the message. It is these latter two points (not the pay check or the alarm clock one) that I will try to unpack here. And feedback is always welcome! I was certainly nervous at the prospect of leading my first youth group and giving the message to a new group of young people. Even the previous week, upon picking up a person from high school for afternoon tea, I had to frantically remind myself, “I’m 22, I don’t have a curfew, I’m not in school, I can drive after 10, I’m not (that) hormonal; you do not intimidate me!” as I braved the crowds of students. Yet even with this ‘blessed assurance’ teenagers can still be scary. I can’t tell them that of course and so I approached Sunday night with some trepidation. Was I trying to impress them? No, of course not, because I am working in the power of Jesus Christ and 15 year olds have no hold over me! But underneath that, I was eager for their trust. My message was on ‘Loving Each Other’ and I focussed on how we are instructed to love people that we value but also people that we don’t. I likened loving people to giving them a Kinder Surprise; something that they don’t expect and something that causes them to re-think. I talked about forgiveness and how hard it is to love someone that is hostile towards you. I hope that my mix of illustrations and depth into the text helped them to read these words of Jesus in a fresh light. But I also hope that the message showed them that I am genuinely working through these issues of faith just as they are; that we are pilgrims on the same journey. Is it ok that I hope for both these outcomes in this first message of mine? I was also given the challenge of preparing something for the youth to discuss in relation to the message in their small group time following the talk. Although this was the first time I’ve done this intentionally, I have often tried to consider how my sermons are relating to my congregation. As I do my ‘First Fifteen’ of sermon preparation I write down the names of 4 people that I know will be in the service and who all represent a different stage of life and faith. They may each have different takes on the themes but I remember them as I prepare so that parts of my message can relate to them individually and I can pastorally consider them in my planning. Sounds good, right? Well writing these study questions took that planning to the next level of difficulty. What brief but not nebulous questions could I offer the leaders and youth to move them to look at the passage and message further? Is it worth even giving them questions if the girls go off on tangents and the boys struggle to get 2 minutes of relevant discussion? Those are gross generalisations but you know what I mean. How helpful are these questions that we preachers often provide for small/life/connect/cell/ ‘insert community related word here’ groups? 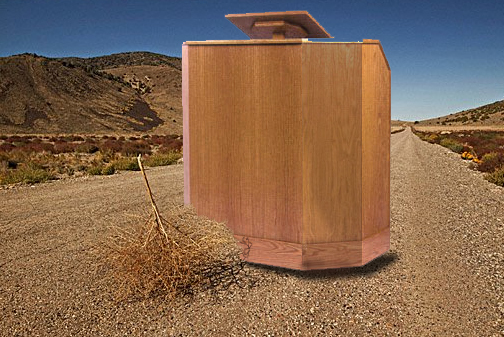 Do they help or limit meaningful discussion on the sermons we have tried so hard to craft? Should we rather offer teasers; statements and passages from the text and sermon that they can re-read and dwell on? These are my first thoughts as I begin my first full time preaching/teaching/pastoring career. Laura is the Youth and Young Adults Pastor at Shore Community Church in Albany (Auckland) and makes excellent brownies.